Earlier, we talked about the prototyping of a new room divider. It has been a long road with technical challenges, and therefore we are proud to introduce the Qube! 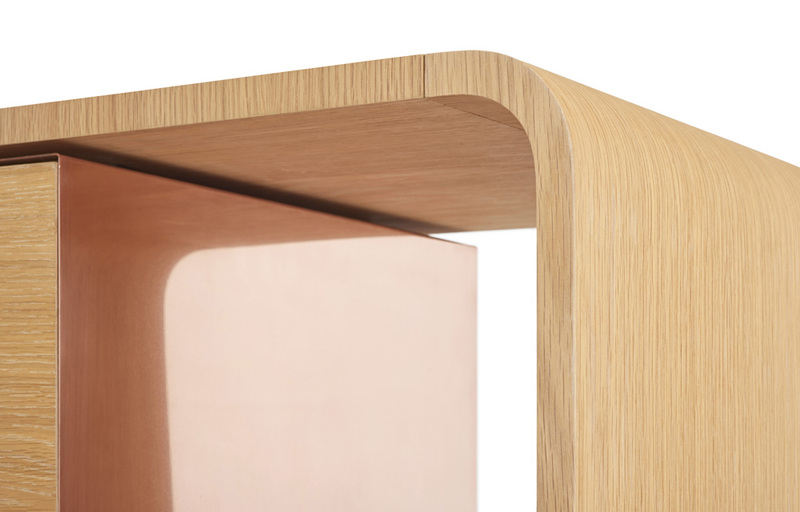 The piece comes in a combination of oak & copper (see pics), in fully oak or in white lacquer. More info on Qube – Wall Unit.